The March on Washington for Jobs and Freedom was a large political rally that took place in Washington, D.C. on August 28, 1963. 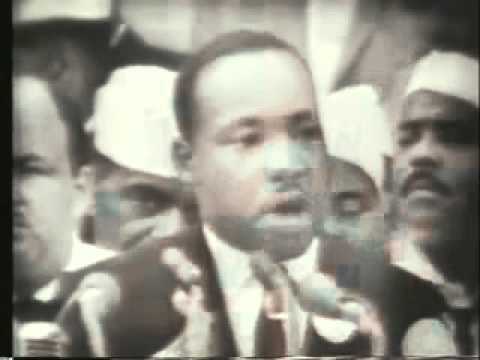 Martin Luther King, Jr. delivered his historic "I Have a Dream" speech advocating racial harmony at the Lincoln Memorial during the march. The march was organized by a group of civil rights, labor, and religious organizations, under the theme "jobs, and freedom." Estimates of the number of participants varied from 200,000 (police) to over 300,000 (leaders of the march). About 80% of the marchers were African American and 20% white and other ethnic groups. 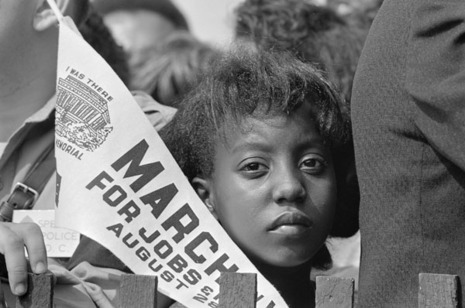 The march is widely credited as helping to pass the Civil Rights Act (1964) and the National Voting Rights Act (1965). 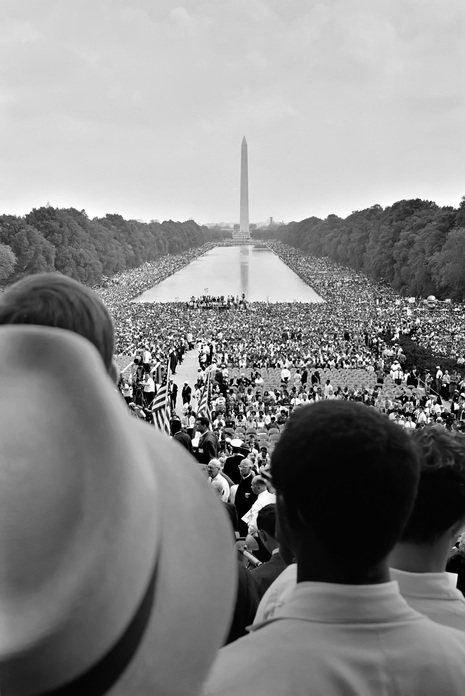 On August 28, 1963, a quarter of a million black and white people -- more than twice as many as had been expected -- marched to the Lincoln Memorial in Washington, D.C. in a show of unity, racial harmony and support for the civil rights bill. Bob Dylan, Joan Baez and other folk singers entertained the crowd before John Lewis of SNCC and others made speeches. 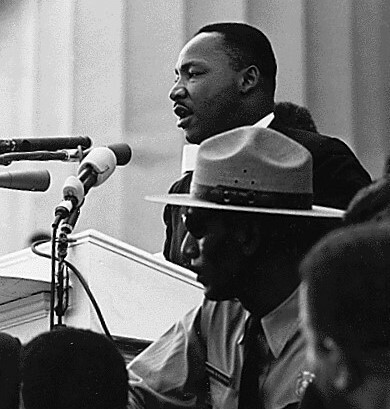 Civil rights leader Martin Luther King, Jr. gave one of his best known speeches, inspiring the assembled crowd with the words, "I have a dream." Randolph also spoke: "Fellow Americans, we are gathered here in the largest demonstration in the history of this nation. Let the nation and the world know the meaning of our numbers. We are not a pressure group, we are not an organization or a group of organizations, we are not a mob. We are the advance guard of a massive moral revolution for jobs and freedom."